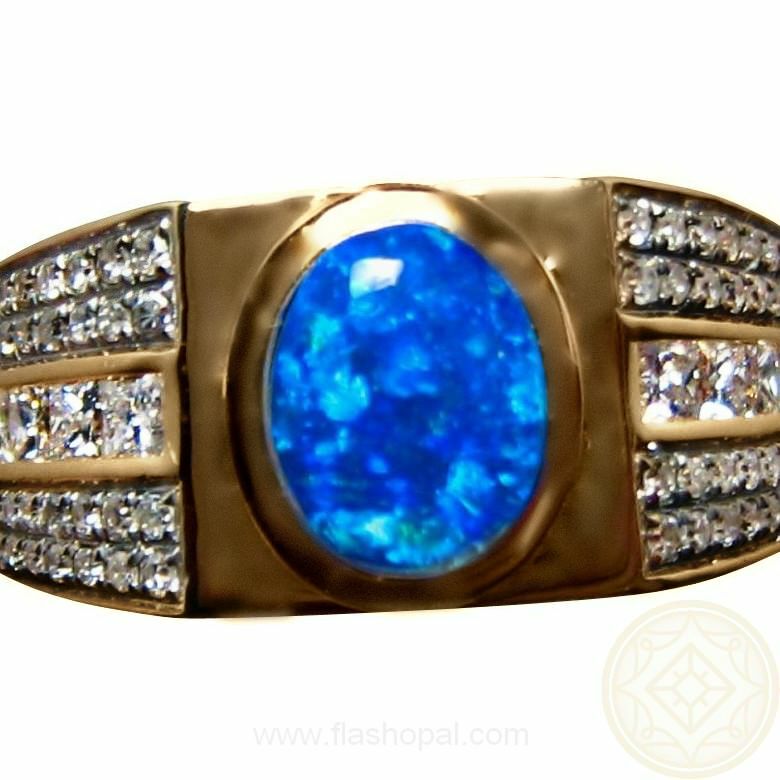 A mens Opal ring in 14k Gold with an oval Blue Opal accented with multi Diamonds. 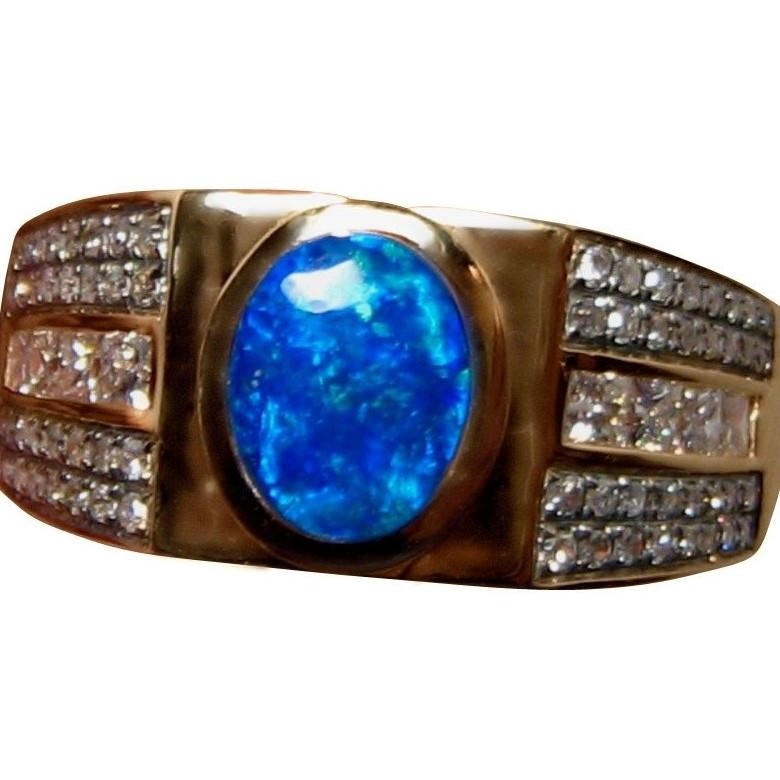 This quality Opal ring for men is for those who like a little bling. 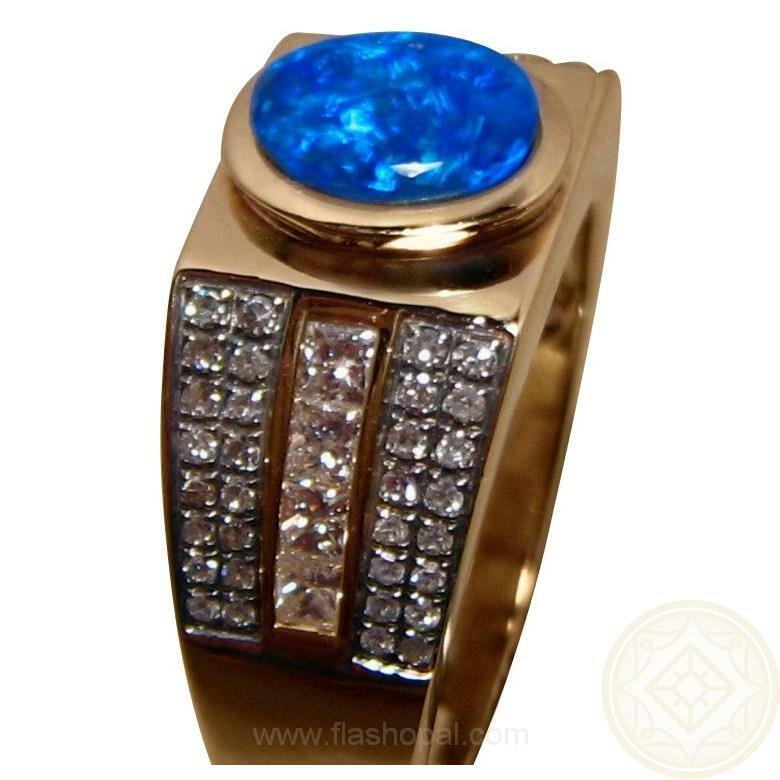 The 14k Gold ring is heavy weighing over 10 grams and features a very bright Blue Opal that is oval in shape and weighs about one carat. 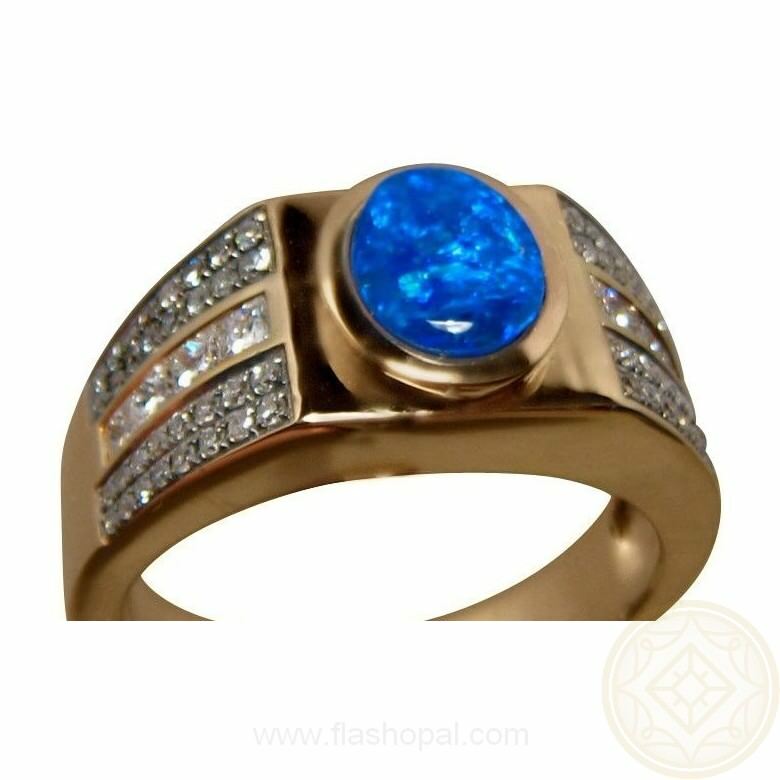 The ring is studded with Diamonds having Round Brilliant Diamonds on the band with Princess Diamonds in the middle adding plenty of dazzle ensuring the ring will be noticed when worn. The ring in the photos has been sold however one can be Made to Order in your choice of 14k Gold color and any ring size up to a 10 which will take about 3 weeks to make before images are provided for your approval to ship. If you need a size larger than a 10, contact through this product to receive a no obligation price quote. Any minor blemishes and dark areas you may see are not visible to the naked eyeand the video will give a better indication of the high shine of Gold.